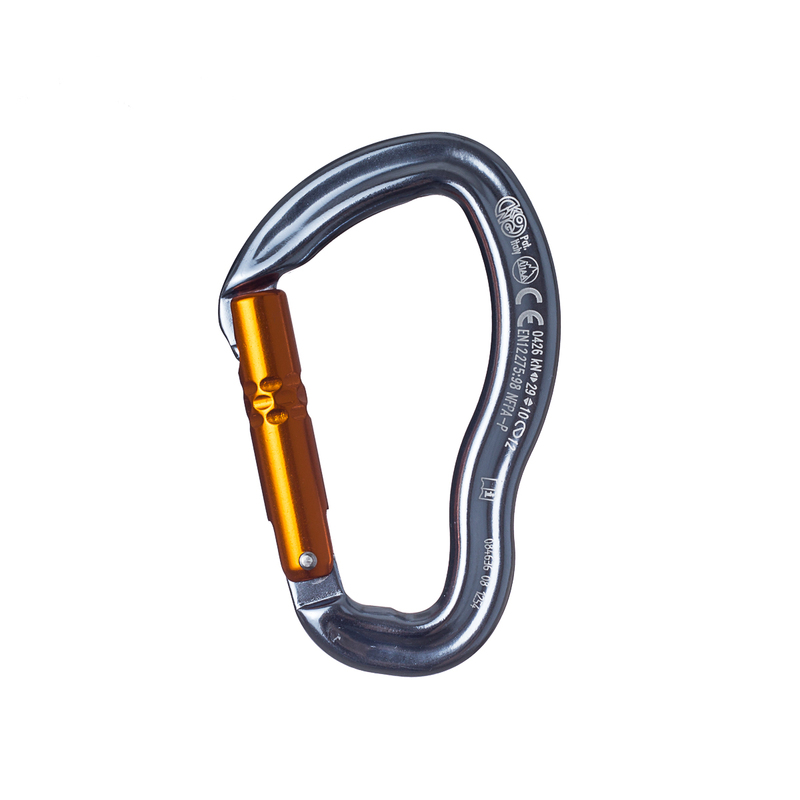 The Ergo Straight Gate from Kong is a lightweight and compact carabiner, which features a specially-designed bent D-shape for people with smaller hands. It’s suitable for use as a quickdraw but is super-versatile and will work well anywhere in your rack. The key-lock gate provides guaranteed smooth transitions, while the bent D-shape shape allows for easier opening.